I have had my Fitbit One for a few years now. A few months ago it wasn’t syncing so I put it away but I decided to try and get it working again. Today I got it to work so I will be tracking my steps and working on doing 10k steps a day again. I will also be using the Fitbit site to track calories too. I even synced my Aria scale with the right WiFi so now that should update my profile as well. 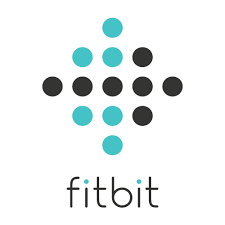 When I am back in the states I will get one of those fancy new Fitbit Watches that tracks if I am dying and stuff. The mark up here in India is ridiculous so it will be cheaper to pick up while I am in the States. Aside from that I have been hitting the gym successfully everyday or doing exercise at my apartment doing body weight exercises and yoga. I am doing my protein shakes in the morning before I go to the gym and then immediately after along with one protein shake before bed. The morning I have 2 eggs either hard boiled or prepared another way. My lunch is salad with chicken strips. Dinner is a vegetable dish with some other prepped meat mutton, chicken or rumaki this week. I have cut out the snacks for now and extra fruit. Drinking a good amount of water. I feel great. I get a solid chunk of sleep. I am able to even get a couple hours of gaming in the evening and an hour of reading. Plus 30 minutes of meditation in the morning and 30 minutes at night. Its a packed day with work but it is a good day.